Brad-Chem Ltd was founded by Arthur Brady in 1988 and today is still wholly owned by the Brady Family. The company is both a manufacturer and distributor of speciality corrosion control inhibitors, additives and additive packages, solid lubricants and esters to the lubricants, metal treatment, cleaning and numerous associated markets. Brad-Chem Ltd is the UK appointed distributor for Climax Molybdenum UK Ltd (molybdenum disulphide powder and molybdate corrosion inhibitors), Nyco (synthetic esters) and BRB International BV (viscosity modifiers and mineral oil additive packages). In recent years, we have continued our programme to expand the business by increasing our exports and we work closely with distributors in a number of countries around the world who stock Brad-Chem material locally. Where we do not currently have distributors in place, we supply directly from our facilities in the Uk and currently we export to more than 40 counties world wide. 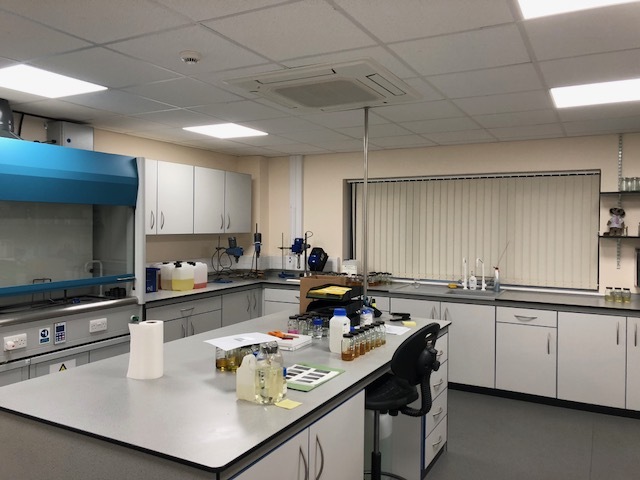 The company operates from its head office on Moss Industrial Estate, where we have in excess of 10,000 square feet of warehousing and manufacturing space and 3,000 square feet of office and laboratory space. Each of the Brad-Chem products ranges is manufactured in its own designated area ensuring high quality products are manufactured. In excess of the workforce are in the technical department and having our own R & D technical facilities ensures we continue to develop new products for the next generation. Also, we work very closely with customers solving specific corrosion problems with customers in our lab.